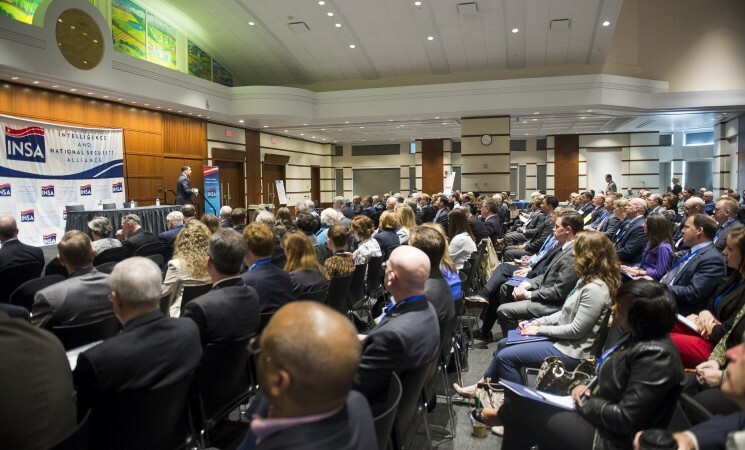 ARLINGTON, VA (April 10, 2017) - INSA hosted Unprecedented Counterintelligence Threats: Protecting People, Information, and Assets in the 21st Century, a symposium with government and industry leaders to discuss how the public and private sectors can collaborate more closely to address counterintelligence challenges. Following the keynote, INSA members Daniel McGarvey of Alion Science and Technology and Vince Corsi of IBM presented a white paper developed by INSA’s Security Policy Reform Council and its Insider Threat Subcommittee. The report, Assessing the Mind of the Malicious Insider, identified the psychological stressors that drive employees to undertake destructive acts and described the ways in which software tools could identify at-risk employees by analyzing their use of language in emails, social media posts, and other communications. 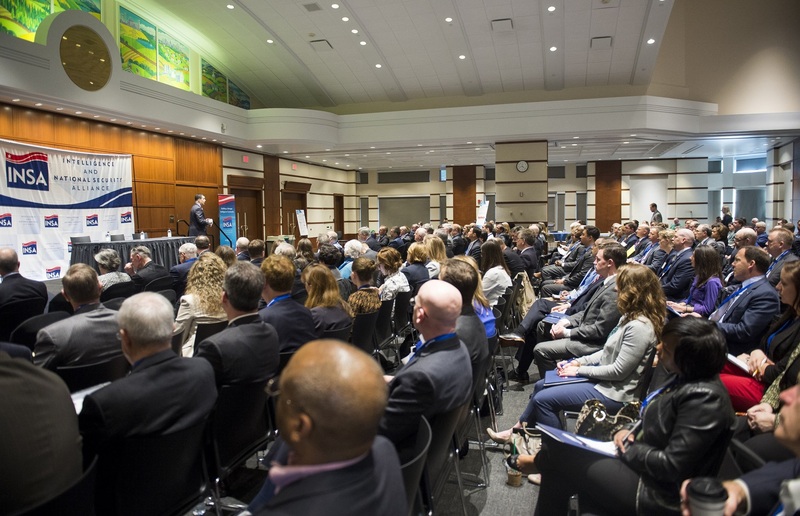 Subsequent panels addressed best practices in implementing insider threat programs, legal issues pertaining to sharing information regarding personnel security, supply chain security, and the long-term impact of the data breach at the Office of Personnel and Management. Mr. Evanina discusses the importance of developing “a whole-of-government approach plus a whole-of-country approach” to mitigating insider threats, including threats to critical infrastructure and the security supply chain, as well as economic espionage. He also touched on the importance of making the American public more aware of the risks presented by counterintelligence operations conducted by U.S. adversaries. INSA members Dan McGarvey and Vincent Corsi discuss the psychological traits and stressors that can lead to malicious behavior and propose continuous evaluation methodologies—personality trait detection, stress and emotion detection, and life event detection—that can provide early warning of potentially destructive acts. 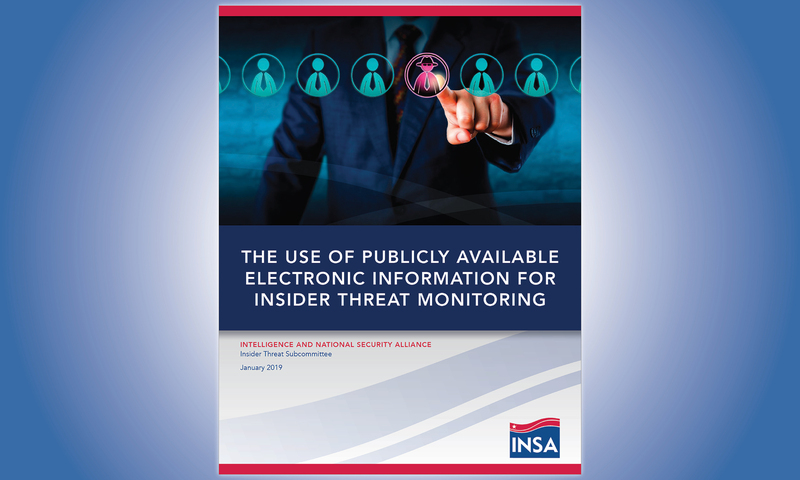 This was the first public discussion of INSA's white paper on the topic, Assessing the Mind of the Malicious Insider. 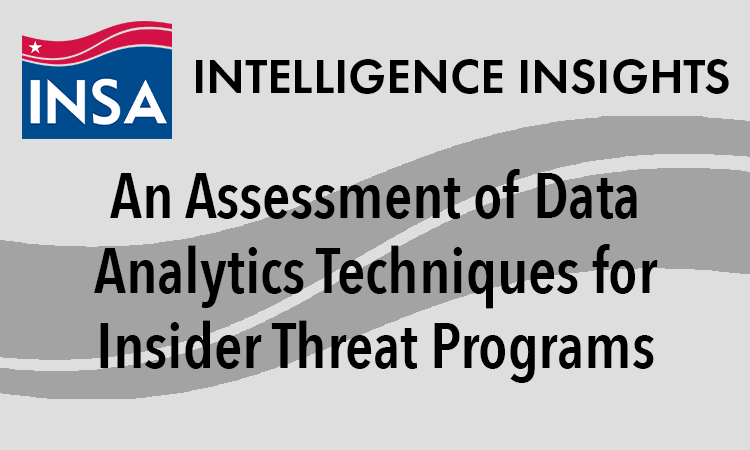 Secure and appropriate movement of information about employee behavior is essential to implementing an effective insider threat program, but mismanaged information can degrade workforce trust and morale, as well as cross legal and ethical boundaries. 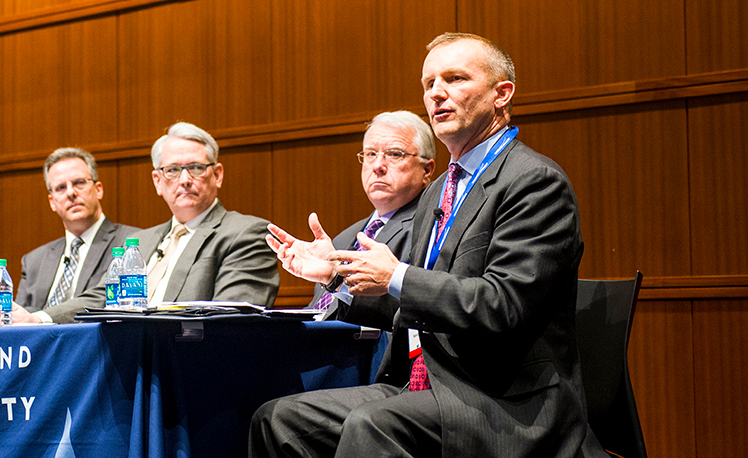 This panel discusses how to collect and share information responsibly as part of an insider threat program, including coordination with human resources and legal departments. Supply Chain Security: Threats, Solutions, and the Goal of "Delivering Uncompromised"